Monica Lamb is one the most famous women ever to cross onto the intense playing surface that is a WNBA arena floor. 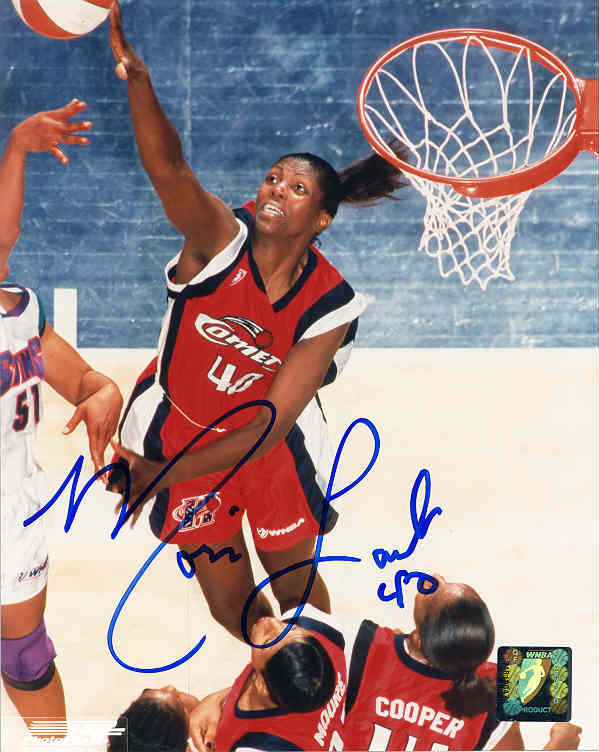 She won two WNBA Championships with the Houston Comets. She also played on the US National Team and helped the US win a gold medal at the World University Games in 1983. Monica Lamb has personally hand signed these photos. Each Monica Lamb autographed photo is guaranteed authentic, and includes an individually numbered TRISTAR Authentic hologram. You can verify the authenticity of your autograph by entering your hologram number online at www.tristarauthentic.com.